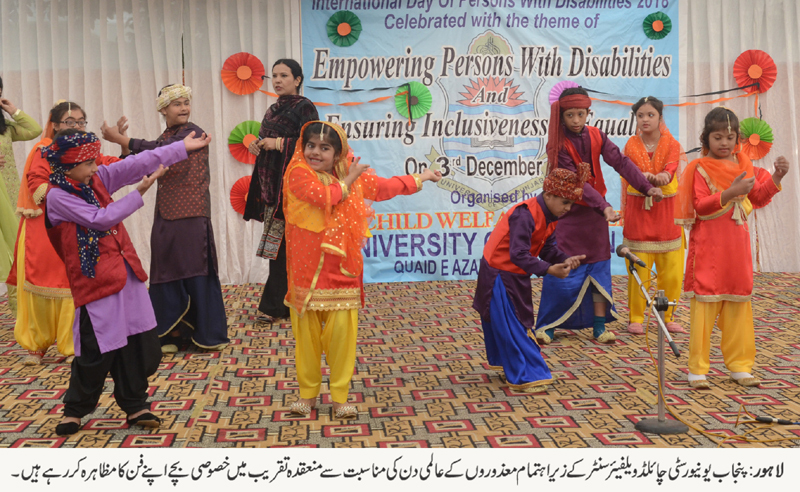 LAHORE: (Monday, December 3, 2018): Punjab University Vice Chancellor Prof Niaz Ahmad Akhter has said that Allah special children have special abilities and we need to find them in order to utilize their capabilities in our society. 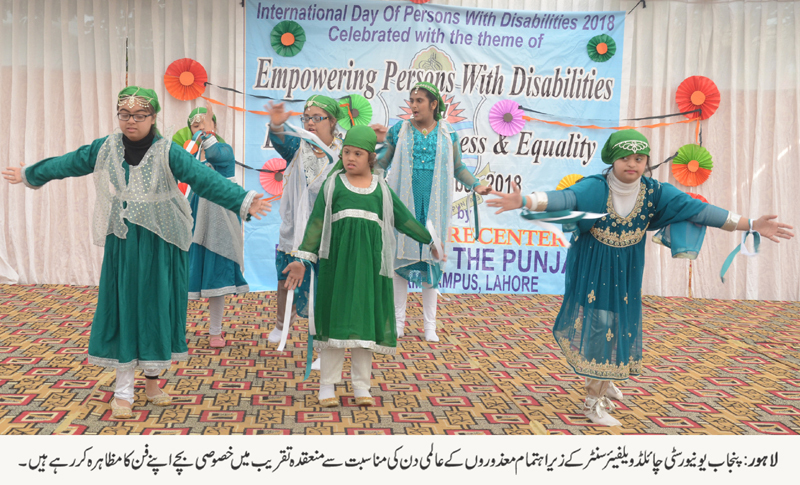 He was addressing an event organized by PU Child Welfare Centre (CWC) to mark International Day of Disable Persons on Monday. On the occasion, former PU VC Lt. Gen (r) Arshad Mahmood, Dean Faculty of Economics and Management Sciences Prof Dr Nasira Jabeen, CWC Principal Ms Ayesha Wajihulla, faculty members and a large number of students were present. The students presented tableaus, national songs and attracted a huge applause from the audience. 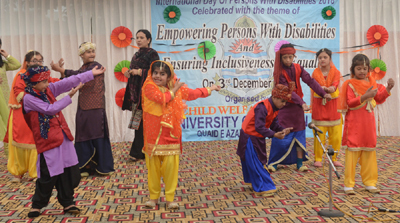 Addressing the ceremony, Prof Niaz Ahmad Akhter said that special children were a good opportunity for us and their performance showed that they had special abilities. He said that PU administration was paying special attention to special children and providing them all possible facilities. 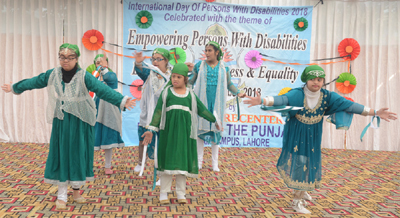 Addressing the ceremony, Dr Ayesha said that such activities were being organized by PU Child Welfare Centre which could help identify hidden talent of special children.